“The purpose of qi gong practice is not just to add years to your life; it is to add life to your years,” teaches qi gong and t'ai chi expert John P. Milton. 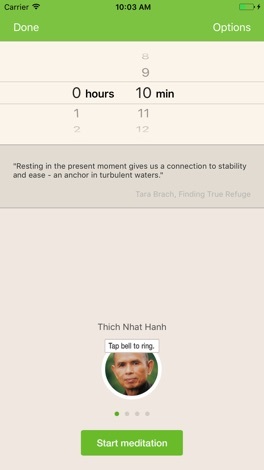 The Cultivate Longevity app teaches you the fundamentals of Chinese longevity practice, focusing on exercises that clear blockages from your body’s energy channels, develop your connection to the world around you, and teach you how to use your natural batteries to store the life energy of qi. It includes guided exercises intended to promote inner tranquility during demanding activities, improve circulation, and boost immunity. This app is perfect for beginners seeking to establish a foundation in qi gong and also allows you to take your practice outdoors, where you will be able to tap into the natural healing energy from the world around you. Giving you the chance to experience an authentic qi gong retreat at your own pace, this is qi gong as it is meant to be practiced—transmitted from an experienced master under the open sky. Using the Cultivate Longevity app, channel the qi of heaven and earth to strengthen your health, increase your vitality, and enrich the years of your life. John P. Milton is a pioneering spiritual teacher, meditation master, vision quest leader, and shaman. Since the 1950s, thousands of people have sought his powerful yet gentle qi gong and meditation instruction and vision quest guidance, and he has taught t’ai chi at his Golden Flower school for over twenty-five years. He is a former professor of environmental studies and Woodrow Wilson Center scholar at the Smithsonian and was one of the first ecologists ever on staff at the White House as a member of the President's Council of Economic Advisors. He is the founder of Sacred Passage and the Way of Nature Fellowship as well as Threshold, a foundation devoted to spiritual liberation in Great Nature. John continues to live, explore, and lead wilderness trainings in many of the Earth’s wild and sacred places.